125 GBP non-refundable deposit is required for advance booking. You agree to our TOC. We undertake private residential work in the Oxford and Swindon area. 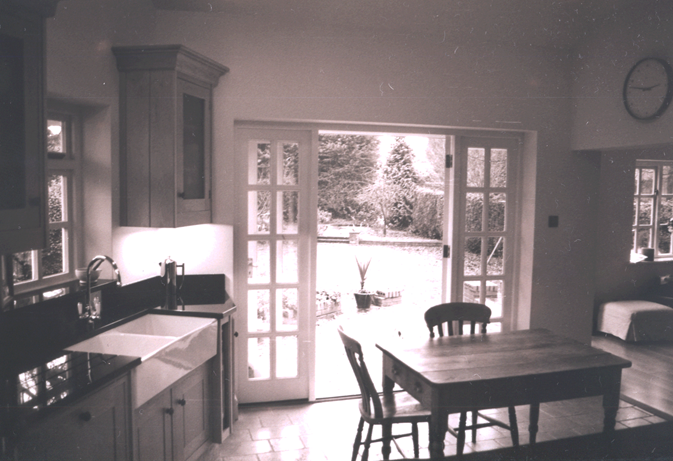 Our work ranges from extension to shelf-build, listed buildings and echo homes. In response to clients' feedback, we have created this fees calculator for house extensions and new build work. The calculator is intended to provide you with a quick response to our fees and give you an estimate for the project costs. However if you prefer to discuss your requirements, we provide asap appointments that we charge GBP60+VAT/hr for site visits. If you can wait a fortnight these charges can be dropped. Accurate plans are essential for success. We will undertake a 3D laser survey of the building, then create 3D computer graphic models and transform your vision into a visual model. When the design is completed and approved, we will then submit the scheme for statutory consents. Planning is not always required. Permitted Development gives you a right to develop without a planning permission, conditions permitting. The Planning Portal explains which situations Permitted Development is allowed in. Bear in mind though that if you sell the house, the solicitor will want proof of legality. A Certificate of Lawfulness can be issued by the Local Authority (LA). This Architects cost calculator assumes that a planning application is required. It does not work with Permitted Development. The calculator needs to know the scope of the works in square metres. The total new floor area is for example the ground plus first floor for a two storey building (i.e. not the foot print area). Construction costs vary greatly. For example Swindon Local Authority calculate construction costs at roughly GBP 1,300 per m2. However this figure should be treated with great care as rates can easily quadruple depending on the extent and the quality of the work. Increase in house insurance to cover the construction risk etc: check that the builder has appropriate insurance. Also note that when the work is close to your neighbours' property, damages to that property by the builder will be covered by his insurance. Diversion or building over a shared sewer: a Build Over Notice from the Water Authorities will be required. When building close to or on your shared neighbour's wall, the Party Wall Act will have to be complied with. However please note that the above do not cover all eventualities.